Initial sales of Apple’s HomePod have underperformed — even measured against the company’s conservative forecasts — leading Apple to cut manufacturing orders and lower forecasts. Bloomberg on Thursday, citing Apple store workers, reported that the Cupertino tech giant is having trouble getting HomePod units off its shelves. As a result, Apple late last month “lowered sales forecasts and cut some orders” with HomePod manufacturer Inventec Corp., the report notes. Bloomberg‘s sources also confirmed that during its first 10 weeks on store shelves, Apple was able to capture 10 percent of smart speaker sales. While that wasn’t great and put it behind Amazon’s Echo and Google Home, things have been getting worse. Three weeks after the HomePod launched, it nabbed only 4 percent of sales. That suggests it had a large share in the first three weeks and very little in the ensuing weeks. Disappointing HomePod sales, though, can more likely be attributed to two factors. For starters, the HomePod — with its $349 sticker price — is far more expensive than both the Amazon Echo and Google Home. Second, and equally as important, is that Siri on the HomePod provides users with a stunted and somewhat frustrating user experience, especially when compared to what users can accomplish on competing devices. Apple had an opportunity to put the HomePod at the center of a new ecosystem of smart home and other gadgets that aren’t glued to the iPhone. But the small, wireless speaker is not that product. Though the HomePod delivers market-leading audio quality, consumers have discovered it’s heavily dependent on the iPhone. 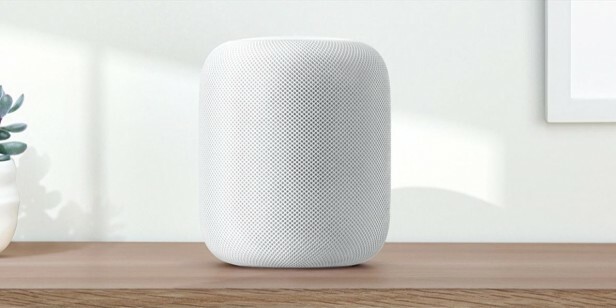 The report cites revised analyst predictions of 7 million HomePod sales this year, which amounts to roughly a quarter of Amazon’s Echo sales and less than half of Google Home sales. It leaves open the possibility that Apple’s numbers will improve when HomePod’s hardware, software, and pricing issues are addressed.